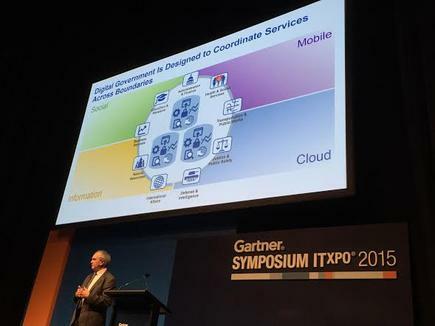 Glenn Archer, research VP at Gartner, believes services provided by governments will be very different in the future due to the use of Internet of Things devices and machine learning technologies. Archer, formerly the Australian government's CIO, also expected that by 2022, more than 25 per cent of police officers will be functionally equivalent to Robocops, leading to a 40 per cent reduction in traditional crime. 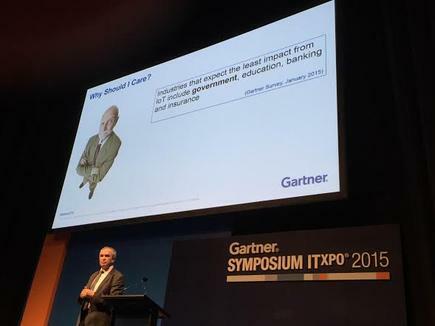 By 2025, an increase in demand of human services will be offset by the decrease in cost to run government through the use of predictive analytics, he said at the 2015 Gartner Symposium/ITxpo in the Gold Coast. In the same year, more than 30 per cent of online government services to citizens will be discontinued. He said governments will use data as mechanism to complete interaction with citizens, and automate the need for citizens to interact with agencies. For instance, a citizen does not need to file income tax return as government will use information derived from the employer, investment organisation, bank and other parties that can automate the process of completing the tax return. This is already being practiced by the Finnish taxation agency Vero Skatt, he said. Digital government is one that is designed and operated to take advantage of digital data in optimising, transforming and creating government services. Data sits at the centre of digital government, said Archer. Internet of Things devices will be, without a doubt, the most substantial provider of digital data to government in the future. Smart machines, meanwhile, will improve the capacity of the engagement with citizens, replacing and support support contact centre operations. He said digital government is a journey, consisting of five phases. The first, e-government is the dominant form in place today. Its success is measured by the number of services online and adoption and usage of these services. The second phase is marked by transparency and openness, and the third is being data-centric. The fourth phase is going fully digital and the fifth is smart government. These two are the aspirations of governments. As the government digitalises, it must be truly multichannel, he said. This means allowing citizens to move across channels in the middle of a transaction. He said some IoT devices like drones, cameras and vehicle protection systems are now being commonly used by local governments and citizens. They provide improved usage of city assets like power and water. Meanwhile, he predicted all smart machine categories will be relevant. These are the ‘movers’ category which include drones and autonomous vehicles ; the ‘doers’ category which include robots; and ‘sages’ or smart advisors and virtual personal assistants. He said the reality, however, is governments exist to support the people. “We need to be conscious what is the experience of the people at the end of this. Governments must design human centred digital services,” he stressed. They must make sure the citizens are supported, investing in people to people services where these are more needed. He said these are during ‘digital civic moments’. For instance, if a person loses a job, within 30 minutes, the provider of unemployment benefits can interconnect to support an effective response to that individual. The individual will be advised not only of benefits but a list of potential employers in the area and can even partially complete applications to these roles. In case of an event like a crash on a train track, the first response team will use smart devices, drones and sensors to check what is inside the containers with chemicals that were involved in the accident. The hospitals can be alerted of incoming patients. He recommended CIOs assess their agency and organisation with the Digital Government Maturity Model, and to focus on data and information architecture. Make the case for urgency, and develop a simple high level roadmap addressing the impact of IoT and smart machines, he said. “Identify where there is opportunity to improvem do not worry about you compare with other government agencies, states or nations,” he said.